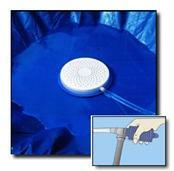 ARCTIC ARMOR WINTER POOL COVERS. 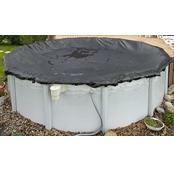 Protect your above ground pool from harsh winter weather with a super high quality Arctic Armor winter pool cover for above ground pools. 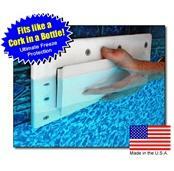 Keep your above ground pool and pool water spotless inside and out, all winter long! 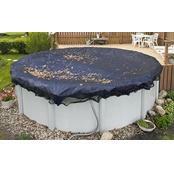 Arctic Armor pool covers are designed to keep leaves, wind blown dirt, and twigs out of your swimming pool making spring clean up easier. 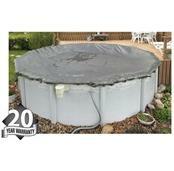 With less dirt and debris, you will us less pool chemicals and start enjoying your pool earlier in the spring. 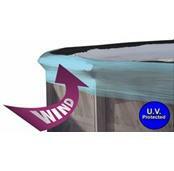 Our Arctic Armor Winter Pool Cover's protection is two-fold: a tightly-woven polyethylene fabric helps retard algae growth on the pool cover's underside, while a premium Ultra-Violet (UV) outer-coating helps protect the pool cover from the elements especially the sunlight. We carry only the very best Arctic Armor above ground winter pool covers. 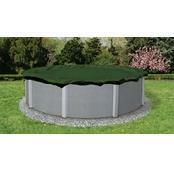 Our above ground pool covers come in round and oval shapes in a variety of sizes to fit your above ground pool. 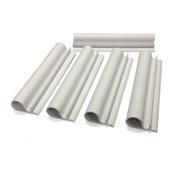 The huge four foot overlap makes installation easier and secures the pool cover better. 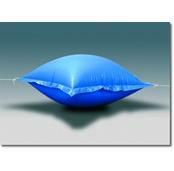 Arctic Armor winter pool covers come with either an 8, 12, 15 or 20 year Manufacturer Warranty. 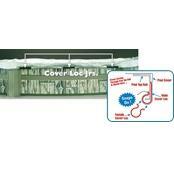 At PcPools we have a great selection of winter pool covers for above ground pools at affordable prices. 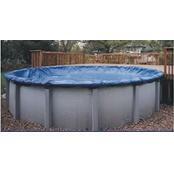 Expert Advice customerservice@pcpools.com.